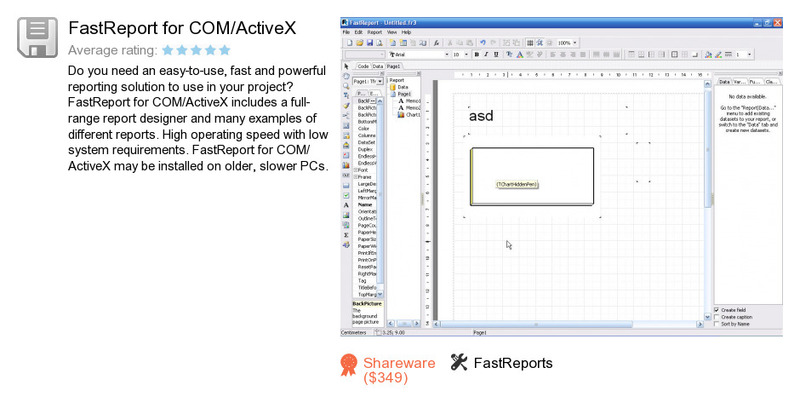 FastReport for COM/ActiveX is a software program developed by FastReports. We know of versions 4.9, 4.4. Version 4.4 is downloadable at our site. FastReport for COM/ActiveX package has a size of 13,182,258 bytes. FastReports also publishes FastReport Viewer and FastReport Studio.